We rarely ever do ab exercises in CrossFit. That’s because many of the exercises we do like squats, burpees, box jumps, and pull-ups are compound movements that engage the core – we multitask! But since one of my new year’s resolutions is to press into a handstand, I know I need to give my core a little extra attention. I decided to commit to a daily core 100-rep challenge to see what would happen. This entire 100-rep ab workout took less than five minutes, so it was quick, but I always felt the burn by the end. Since it took mere minutes, it was an easy habit to incorporate during my day – much easier than doing 20 extra minutes of cardio was. I never felt stressed about making sure I could complete the workout. 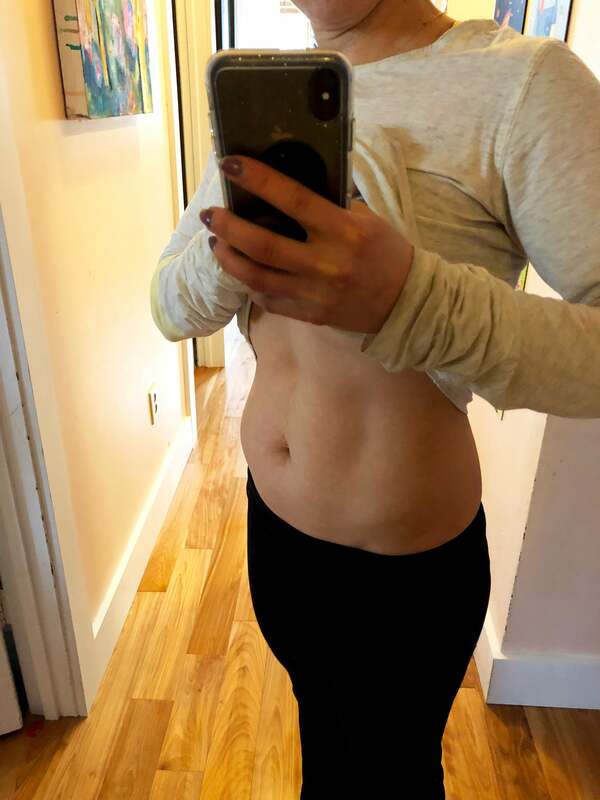 The appearance of my abs didn’t change in the week, but what I did notice was an increase in my strength. By the fifth day, I was able to breeze right through this workout. The knees to chest was the hardest of the five moves and I used to struggle to do eight reps in a row. Now I’m able to do all 20 – hello progress! As for my goal of pressing into handstand? I’m getting there. I definitely see how focusing on strengthening my core is helping. I’m hooked! I’m definitely going to stick with doing extra ab work at least three times a week since I see that it’s actually working. If you have a fitness goal in mind, you won’t achieve it by just wishing for it – you’ve got to work on it a little bit each week. Decide on a goal, whether it’s to PR your deadlift or a 5K, or to master pull-ups or hitting the gym three days a week. Whatever your goal, actively do something to make it happen!